Freehand drawing, handwriting, vector drawing and illustrations on the iPad, Today’s free app! You have an idea, get it into your iPad quick before you forget! It is also important to get the idea down so you can see it to expand, taking it through the thought process. It helps when it is time to explain the idea to others. 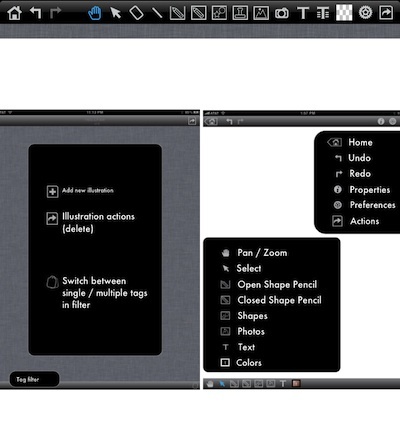 Many drawing apps will let you freehand sketch, other layout apps have shapes for you to use. Normally, you don’t get both. neu.Draw is an app we recently found, it offers both and it’s free today! 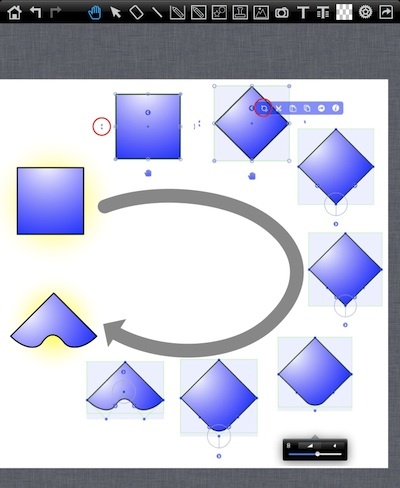 Neu.Draw is a iPad only app, after going through all the features, it is pretty obvious why. You start with a clean slate to add shapes, stamps, photos, freeform drawing and controlled drawing where lines are straightened and circles are closed. Created documents are saved to an overview area where they can be quickly opened and added too. 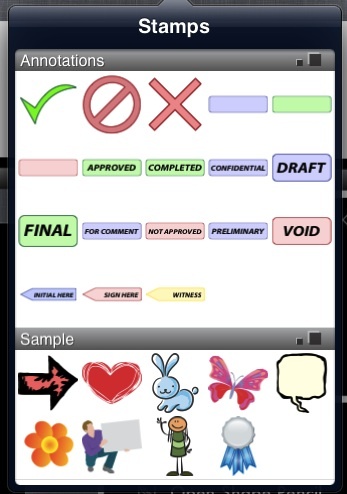 Each document can contain all the parts available through neu.Draw. A single page with any type of information representation you need to add to get the idea on a page. Undo and erase is support too so you don’t have to redo the whole document if the direction changes later. Text is more than simple typing. Tapping the Text Tool in the upper bar results in many text tuning options. This means quick lists of features can be typed out rather than looking through handwritten notes. Neu.Draw lets all the layers of text, shapes and photos to be intertwined in a single creation. 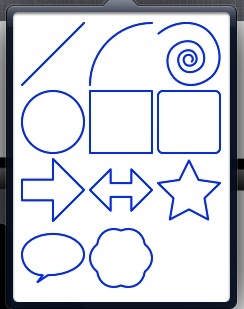 Vector shapes are available to drop onto the page, then add to as needed. Neu.Draw makes it easy to get a lot of information on a page quickly, then tune objects or move them around as you need. If you prefer, free hand drawing is supported too. 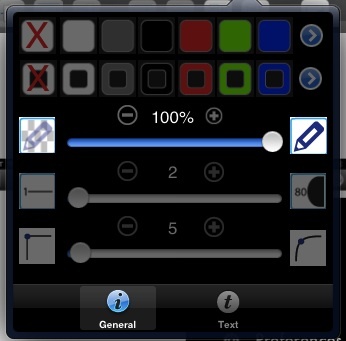 From the top tool bar, you can choose to leave the line as drawn, have it straightened and have your drawn shapes close to make circles/squares completed with a quick swipe of your finger/stylus. Stamps are available to drop and move around the page. Sometimes drawing a sign or common shape is quicker using a stamp rather than trying to draw well enough for others to know that squiggle is actually a rabbit. A quick pulldown gives access to line and frame coloring. As well, net.Draw lets the lines and shapes be fine tuned to match your needs… lines and edges don’t always want to be limited, adjust to match the idea your trying to record. Being able to add shapes, turn/adjust on the fly, then add free hand drawings and text means neu.Draw is the handy app to go to when an idea hits to make sure it doesn’t get lost.